We have a team of highly qualified FEI and EEF approved trainers in showjumping and dressage, friendly administration and professional grooms. 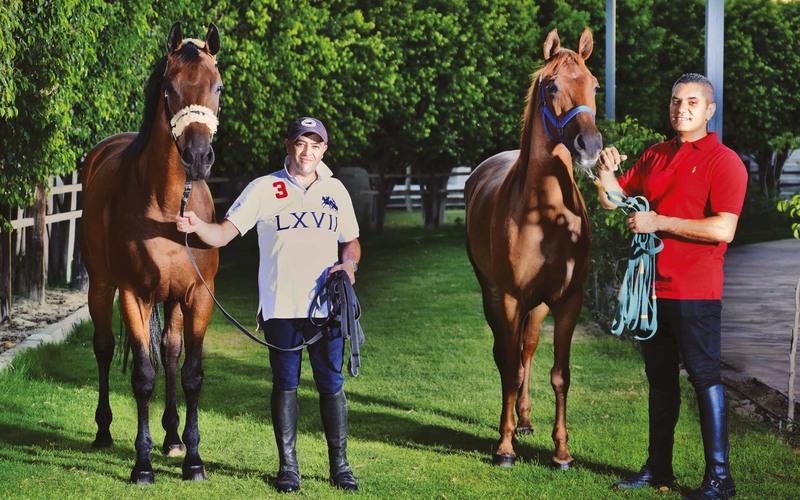 A well respected and sought after horseman, who has acquired a wealth of equestrian knowledge from over 30 years of working with top horses, trainers and riders within Egypt and abroad. He is certified by both the International Equestrian Federation and the Egyptian Equestrian Federation as an independent coach for competitions. His career path has gone on to successfully train horses in showjumping and riders from novice right up to international level. His work has taken him into Europe and the Middle East. A horse lover for as long as he can remember, with a passion about positively changing the way riding is usually taught, with miles and miles of successful partnership with his students. He loves teaching different level groups and it is his pleasure to work on improving the partnership of the horse and rider. He works hard to provide a wide range of safe and suitable lesson programs for his students, while individually monitoring each and every rider to work on improving his/her level.